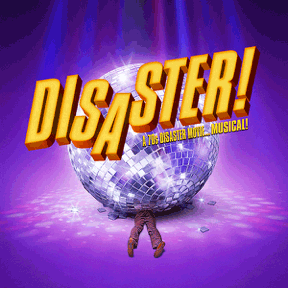 The Un-Common Theatre Company announces our Young Adult Production of Broadway’s side-splitting homage to classic disaster films – Disaster! Disaster! 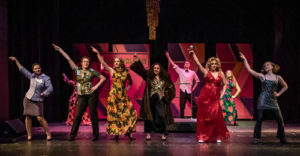 is a new musical straight from Broadway, featuring some of the most unforgettable songs of the ’70s. “Knock on Wood,” “Hooked on a Feeling,” “Sky High,” “I Am Woman” and “Hot Stuff” are just a few of the scintillating hits in this hilarious musical comedy with a book by three-time Emmy Award nominee and SiriusXM Broadway host, Seth Rudetsky, and Jack Plotnick. 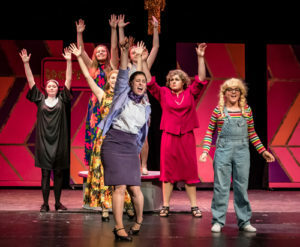 Audiences and critics are wild for this hilarious homage to the era of bell-bottoms, platform shoes and the hustle. 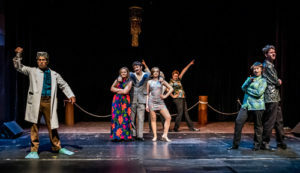 With larger-than-life characters, snappy dialogue and some of the most recognizable songs of the ’70s, Disaster! will have everyone dancing in their seats and rolling in the aisles. Auditions for students currently in Grade 9 though age 21 will be held on Sunday, May 20, 2018. Please check our Auditions page for all the information. Disaster! 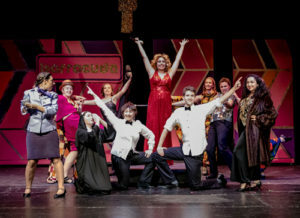 is presented through special arrangement with Music Theatre International (MTI).